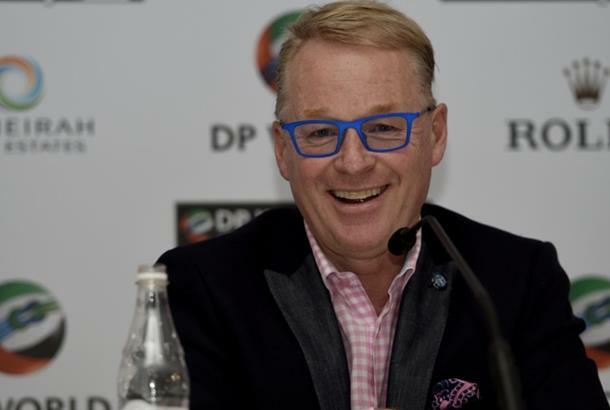 European Tour CEO Keith Pelley has issued a statement on the controversial penalty assessed on Hoatong Li at the Dubai Desert Classic, deeming it 'grossly unfair'. Martin Slumbers, R&A Chief Executive, has since responded to Pelley with a statement of his own. Click here to read. European Tour CEO Keith Pelley has issued a statement following a huge amount of backlash from fellow Tour Pros over the two-shot penalty given to Haotong Li on the 72nd green. He rolled in the putt to finish in a share of third place with a final round 71. Or so he thought. Instead, he was assessed a two-shot penalty on the final hole, dropping Li from 3rd to tied 12th, losing him not only a huge amount of money but world ranking points. It was deemed 'harsh', 'ludicrous' and a 'disgrace'. And now, Pelley says that the referees acted correctly under the strict wording of the rules but that there should be an immediate look at how discretion towards the player is handled. At present, the rule doesn't permit any discretion, but the outrage it has drawn from fellow tour pros over the accidental and marginal breaking of this rule by Li and his caddie has caused Pelley to call for a look at the rules. ‘There has been much discussion and comment over the past 24 hours on the two-shot penalty given to Li Haotong for his breach of Rule 10.2b (4) on the 18th green of the Omega Dubai Desert Classic," the statement from Pelley said.